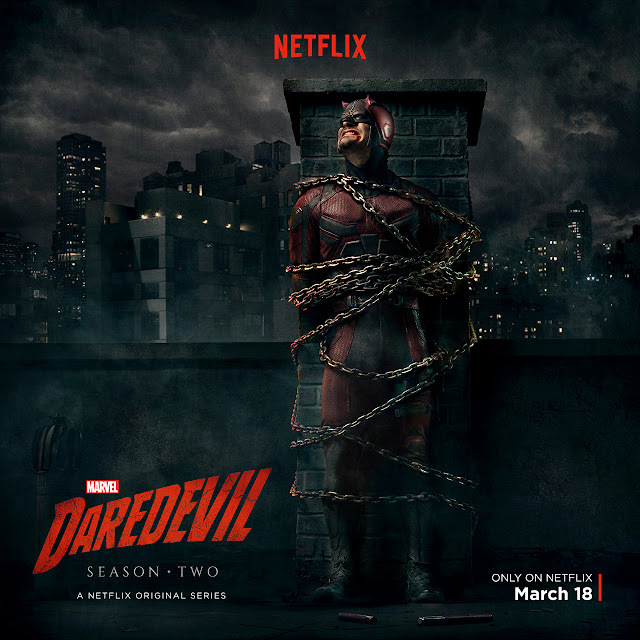 Season 2 of Daredevil is just under a month away and after the tantalizing trailer comes this short promo featuring our hero in chains. Also included is some new key art for the series. Daredevil season 2 hits Netflix on March 18th.